This trip was definitely a favorite of mine for the season! We started out with a fin whale, the second largest animal in the world, but decided to continue on for some looks at humpback whales Echo and Nuages (French for ‘clouds’). 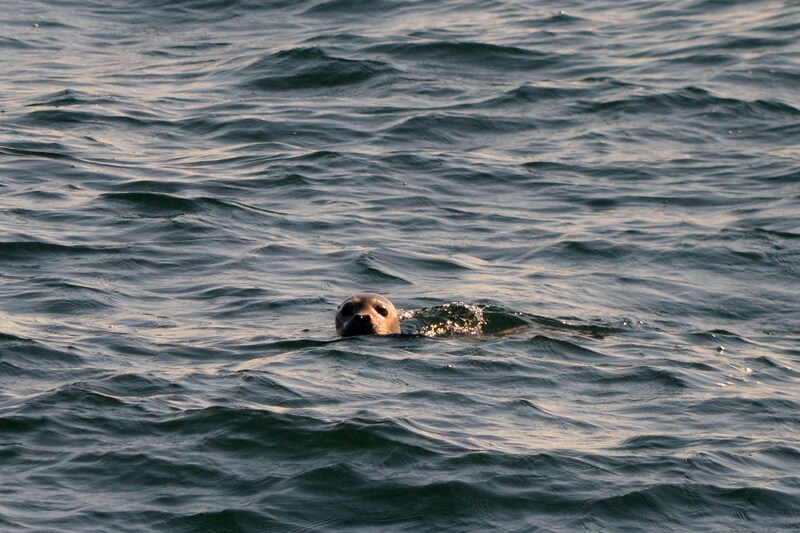 While waiting for the whales to surface, we got to see some curious harbor seals, including one who decided to swim over to us to take a closer look. We noticed a few more whales in the distance and decided to make our way over to take a look. I quickly identified one of these whales as Owl, who was swimming with her calf as well as another whale named Touchdown. We had fantastic views as these whales- at one point the calf surfaced so close to the boat, it could barely fit in my photo! The calf then dove down, but then very shortly afterward came back up, fluke first. 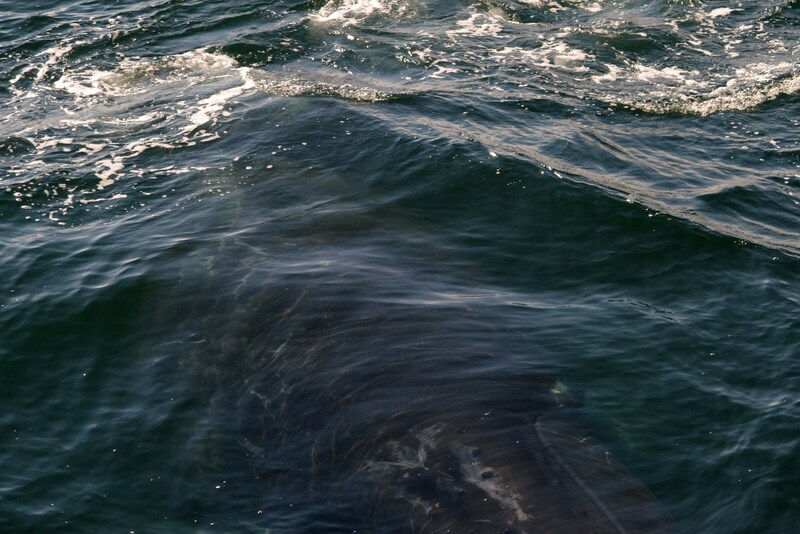 In the photo below, you can see the top of the calf’s eye as it turned to check us out! 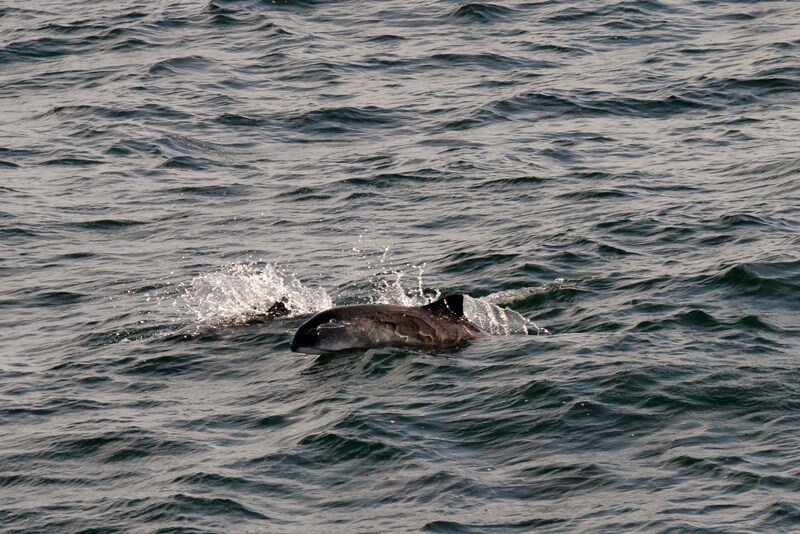 Heading home very happy with the trip, we were lucky enough to spot a pod of harbor porpoise. What a great day! The past week has brought some unique sightings- each trip has been different from the previous! 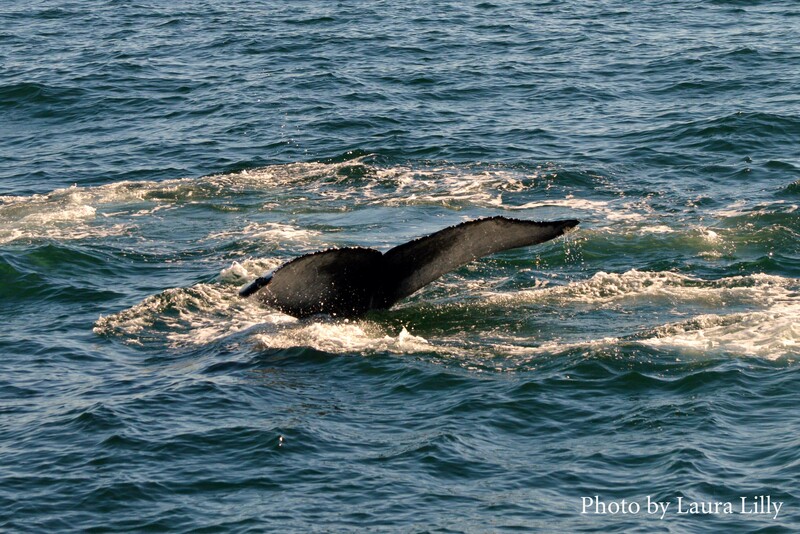 It seems as though a few new whales have moved into the area, which has been great. 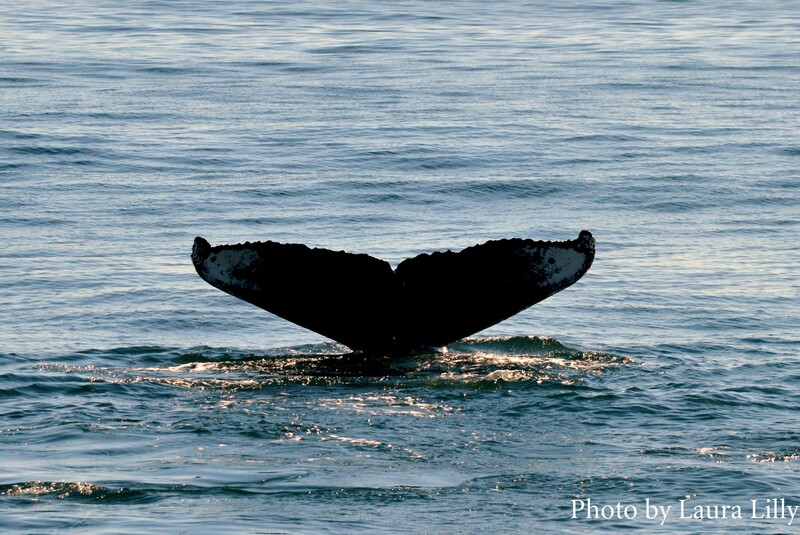 Often times, throughout the season when we did see a new whale it seems that they leave the area as soon as they move in. Recently we have been going out expecting to find one or two of a few different individuals. 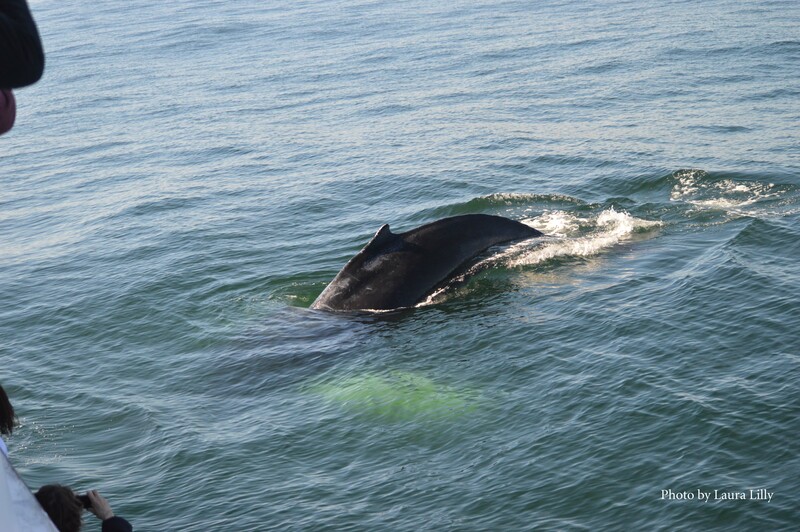 One of the new regulars has actually been a pair of humpbacks- Valley and her calf. We watched Valley on a number of trips at the end of last season, and she looked very large, so we were not surprised to see her with a new calf this season. 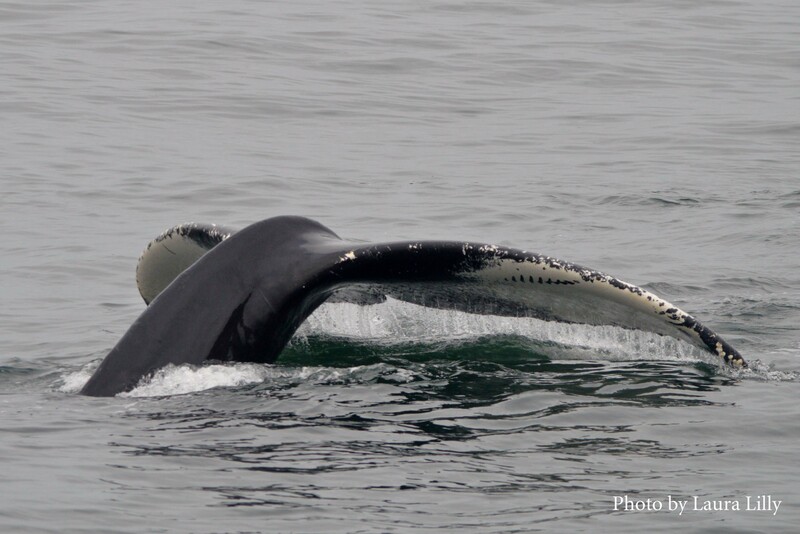 We had also received reports of another humpback in the area that had a large amount of scarring and was moving slowly. We were waiting for Valley and her calf to come back to the surface from a deep dive when this whale surfaced nearby, We moved over to take a look and to take some photos of what looks like scarring from possibly being entangled. 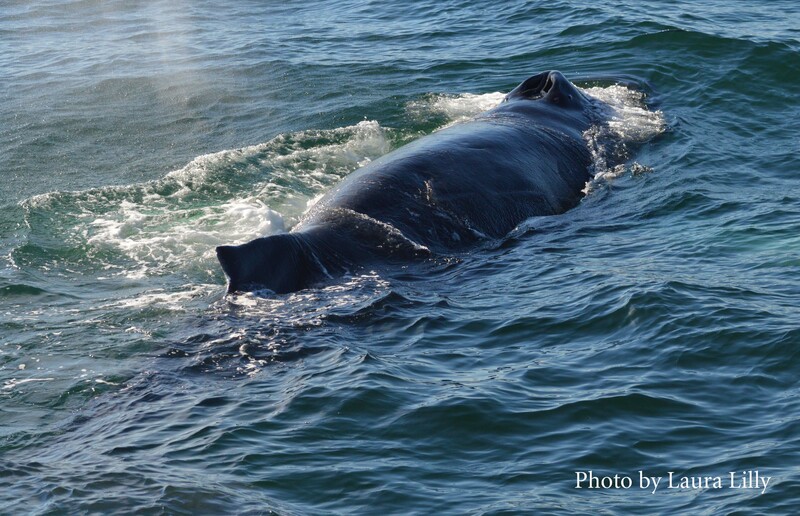 We will keep our eyes out to see if we can observe this whale, identified as Timberline, in the coming weeks.